I figured we’d have to wait till after the eventual vote on the firefighters’ pay parity proposal for there to be litigation over it, but no. The union representing Houston firefighters sued Mayor Sylvester Turner and a City Council member on Monday, alleging the officials are improperly using public resources to oppose a “pay parity” ballot initiative. 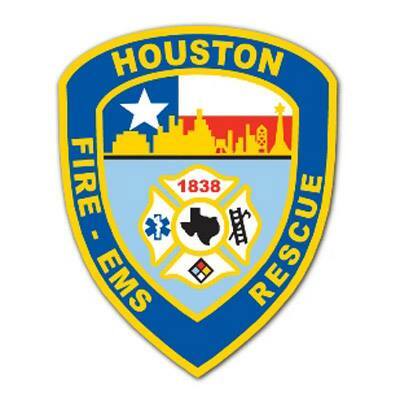 The Houston Professional Fire Fighters Association accuses Mayor Turner and Council Member Dave Martin, who represents Kingwood, of campaigning against the ballot initiative, which would tie firefighter pay to that of Houston police officers of comparable rank and seniority. The mayor’s declined to comment Monday evening. See here for the background. On Tuesday, they got a result. Judge Kyle Carter agreed with the Houston fire union’s argument that the city council’s July 26 budget committee meeting constituted an act of illegal electioneering against the proposal and that public resources, essentially, had been used to present and post a political advertisement. The Houston Professional Fire Fighters Association sued Mayor Sylvester Turner and Councilman Dave Martin, who chairs the budget committee, over the issue on Monday. He did not elaborate on what comments he thought went too far. Carter ordered attorneys for the city and the fire union to discuss what portions of the tape could be returned to the city website after the offending portions were redacted. The order, as issued, is valid through Aug. 14. Buck Wood, an Austin-based public law attorney who helped pass Texas’ first open meetings and open records laws in 1973, said he had never heard of such a ruling in his 50 years of practice. Joe Larsen, a Houston lawyer with 25 years of experience in open meetings and open records law, agreed. Larsen said he can see such a committee discussion being problematic if its agenda was not posted properly or if the issue being discussed was irrelevant to the committee’s focus, but he said he cannot otherwise envision a way in which such a hearing could constitute electioneering. Not really sure what the practical effect of this ruling is. I mean, how much traffic do those committee hearing videos get? There was an earlier version of this story in which the Mayor referred to the proposal as “the equivalent of a 25 percent pay raise for firefighters which the city cannot afford”, a quote he repeated later on KUHF. The firefighters may have gotten this ruling – which the Mayor says he will appeal – but Turner get the opportunity to keep making his case against the firefighters in the news. Not sure that’s a great tradeoff for the firefighters. While I have nothing to vote for tomorrow, there are hot races in Pasadena and Pearland. Changes in Pearland’s demographics have mirrored those in Houston, amplifying the effects of what this election will show, University of Houston political scientist Brandon Rottinghaus said. “This election will tell us a lot about where the future of Houston will go and, therefore, where the future of Texas will go,” he said. In the mayor’s race, 91-year-old incumbent Tom Reid faces a challenge from Quentin Wiltz, a 36-year-old project manager whom the mayor once recommended for a city park board position. In the council race, businessman and former city council member Woody Owens, 69, is running against 30-year-old pharmacist Dalia Kasseb, the first openly Muslim candidate for public office in Brazoria County history. She has never before run for elective office in the city, but Wiltz encouraged her run. Owens says his past experience on council and professionally will be a benefit. He maintained that Pearland grew from a solid foundation and that the diverse city still has a united, small-town atmosphere. The campaign of the mayor, who has supported Owens, did not provide comment. “We’re all Pearlanders,” Owens said. Wiltz and Kasseb, who have been campaigning together, insist they have much to offer. They knocked on thousands of doors, they said, discussing with residents their ideas on mobility (HOV lanes, park and ride, a rail line), a nearby landfill that has been the subject of residents’ complaints and overall quality of life. They derided anti-Islamic and anti-Muslim social media posts that surfaced. This one got a bit nasty, which may have helped generate some turnout. In May, there were 7,660 total votes cast. Early voting turnout for the runoff was 9,740 votes. I have no idea who that might benefit, but it’s interesting. 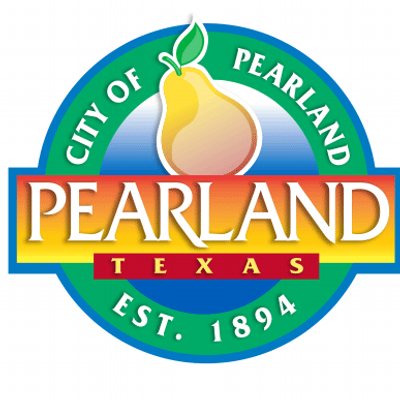 Polling places for Pearland can be found here. I’ll report the results tomorrow. There’s a more stark contrast in Pearland, both partisan and generational, which is less present in Pasadena. In addition to the mayor’s race, voters will decide the District A council seat, where Felipe Villarreal and Daniel Vela are vying to represent part of the city’s north side. The mayor’s race, however, is taking center stage as it marks a change from Isbell, who has led the city, off and on, for decades and now is term-limited. 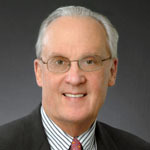 Wheeler ran unopposed for his District E seat during the May 6 election. The runoff comes amid conflicts over racial tensions and access to the ballot box. Nearly two-thirds of city residents are Hispanic, up from less than one-third in 1990. Moon, a commercial real estate agent and banker who grew up in Pasadena, is positioning himself as the candidate of change, a break from Isbell’s legacy. Moon’s priorities include developing a multi-year capital improvement plan to spread infrastructure projects across the city, including streets and sidewalks. 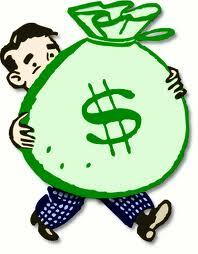 He wants to implement zero-based-budgeting for city departments to make them justify their spending. And he touts his credentials as chief financial officer of Moody Bank, based in Galveston, to help make shrewder financial decisions for the city. Wagner did not respond to repeated requests for comment by email or phone. After a Pasadena city council meeting Tuesday, Wagner said he would meet a Houston Chronicle reporter outside, before exiting into a private room and reportedly leaving City Hall. In campaign literature, Wagner touts his experience as a former Houston police officer and as a city councilman. He is widely seen as the candidate most aligned with Isbell. Wagner and Moon also differ in their stances on the controversial voting rights lawsuit, which the city is appealing. Moon said he would stop the appeal, while Wagner said he would survey city council before making a decision. As of Monday, according to the Harris County Clerk’s Office, 4,389 people had cast ballots during early voting. About 8,300 votes were cast during the May balloting. You can find your polling place for Pasadena here. Wiltz and Kasseb in Pearland, and Villarreal in Pasadena are all Project LIFT candidates. One way or the other, there’s going to be some spin on these results. The Chron picks their second choice for Mayor of Pasadena. The second-largest city in Harris County could use a good shake-up. That’s why voters should elect John “J.R.” Moon Jr. for mayor in the city’s runoff election. Moon, 58, would bring the outsider perspective that Pasadena needs. He has spent the past decade as a trustee for the top-rated San Jacinto College. 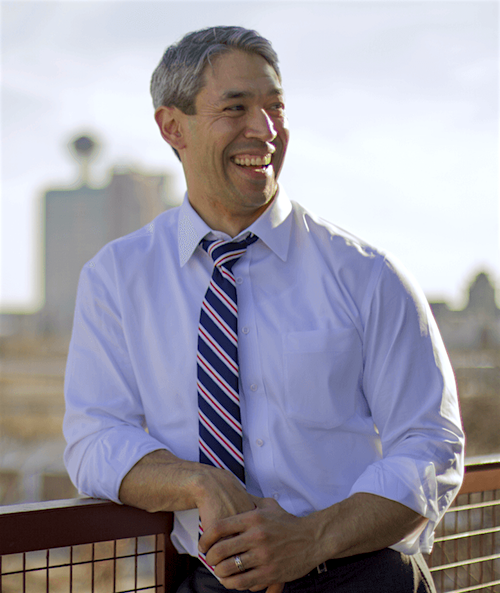 In addition to his public service, Moon also has the business credentials to make for a fine mayor of a growing city – he is a certified CPA and former chief financial officer at Moody Bank. Moon currently works as a commercial real estate agent. While scandal has dominated the headlines, Moon kept his focus on the core issues of education, economic growth and quality of life when he met with the editorial board. He specifically recommended updating the city’s infrastructure plans into a modern capital improvement system that’s the hallmark of transparent governance. “It does not appear that we have had an effective plan over the last five years and you need to renew that plan on an annual basis,” Moon said. Pasadena needs a mayor who can enter this office with eyes wide open if the city hopes to avoid further scandal. Moon is Pasadena’s best choice to make these issues a thing of the past. The Chron had previously endorsed Pat Van Houte, but she didn’t make the runoff. They remain steadfast in their desire to see as big a change from the Isbell era as possible. 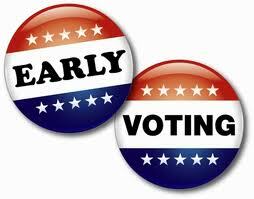 Early voting for the runoff is going on now through June 6 – you can see times and locations here. Felipe Villarreal is a Project LIFT candidate in the runoff for Pasadena City Council in District A, so if you live there please don’t forget about him, and don’t forget about Pearland if you live there. The runoff is June 10, so make a plan to make your voice heard. The U.S. Department of Justice is monitoring the Pasadena city elections as the suburb faces mounting federal scrutiny in the wake of a federal judge’s ruling that the city intentionally violated the Voting Rights Act by discriminating against Hispanics. Two observers will be present to ensure the Saturday elections are conducted smoothly, said C. Robert Heath, an attorney representing the city in the voting rights case. But he said he didn’t know who asked for them, what their specific charge would be and which polling locations may be watched. The justice department’s decision to use observers for the election drew praise from advocates for the city’s Hispanic voters. Mayoral candidates Pat Van Houte and Gloria Gallegos, whose campaign sent out a press release about this item on Tuesday, are both quoted in the story with positive reactions to the news. I don’t know what to make of this any more than anyone else, but it can’t hurt to have some outside experts keeping an eye on things. Jeff Sessions is an evil troll, but there are still plenty of good rank and file people in the Justice Department. One hopes there will be nothing particularly interesting for them to observe.